A course impact assessment of the first five years of the course (2007-2011), conducted by contacting R2P alumni from 6 months to four years after their participation, showed that most participants have continued in rice, plant, or science and agriculture-related careers or higher education. The relative youth of the participants and the fact that many of them report starting, continuing, or finishing advanced graduate degrees, and beginning professional careers in the years after the course heighten the positive impact potential the R2P course can have on these young researchers. Participant learning and benefits seem to far outstrip their initial course goals and expectations with respect to professional and personal psycho-social development. The depth and value of the relationships, perspectives, insight, and understanding participants gained on institutions, disciplines, peoples, and agronomic problems were largely unlooked for and unanticipated prior to the course. 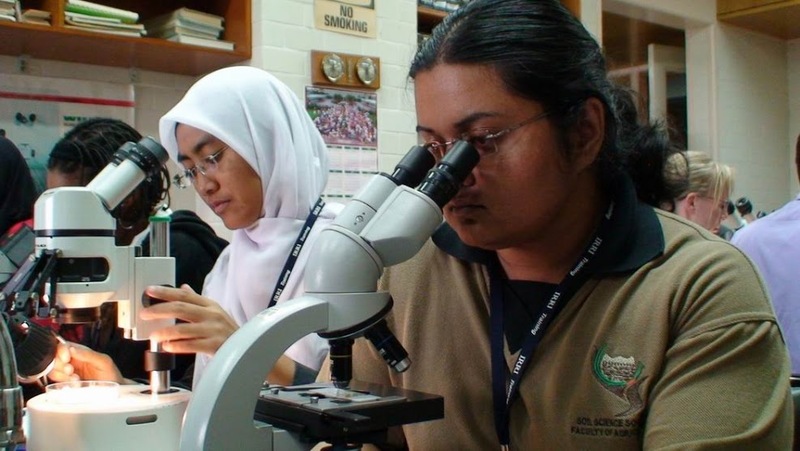 As a result of the course, several former participants have taken research internships with IRRI scientists, initiated collaborations with IRRI that have formed a significant part of their thesis research, and/or accepted positions as IRRI scientists or educators in the Training Center after receiving their degrees. Others have joined the USDA's Foreign Agricultural Service, served as policy advisors in Washington, DC, become professors at major research universities, or joined community groups and NGO's that contribute to agricultural development. It will be interesting to follow up with all the participants after they are more settled in their careers to see where their paths have led and how the course may have played a role in shaping those trajectories. The Rice: Research to Production Alumni Association is a loosely formed association consisting of the 219 members from all eight years the course has been run under the direction of a former R2P 2008 participant, the association started a fundraising campaign this past April to purchase and donate a mini hydrotiller to the Bocos Farmers Association in the Banaue rice terrace region. During past visits to Banaue, many members of several past years of the R2P course had met with members of the Bocos Farmers association, most of whom are members of the Ifugao tribe. Last year, 2013 participants asked the farmers what their most pressing setback to sustaining terrace-based rice farming was. 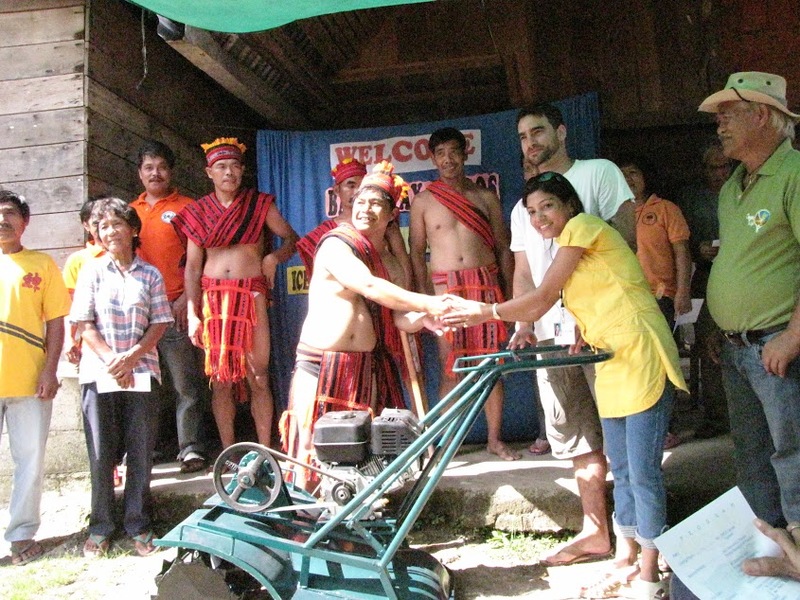 "Lack of access to mechanization" was the farmers' reply and they indicated that PhilRice-designed mini hydrotiller would be welcome, as theirs was broken beyond repair. R2P 2014 participants were privileged to be able to meet the Bocos farmers and represent the R2P Alumni Association in the hydrotiller hand-over ceremony. The ceremony included prayer, speeches, traditional music and group dances, and the formal signing of a contract witnesses by dozens of course participants and staff, farmer association members, and local government officials and extension workers. The terms and conditions of the hydrotiller use and maintenance by member and non-member users were left for the Bocos Farmers Association to decide amongst themselves; however there is expected to be informal follow-up with the farmers association during future course years. Post-handover discussion by 2014 course participants yielded interesting conversation on the potential ramifications for that community, and strategies to balance small-scale agriculture and traditional cultures, beliefs, and social structures with the inevitable push for 21st century development and standards of living. R2P alumni group members are also discussing other projects and campaigns that might also be adopted in future. The campaign to raise funds for the mini hydrotiller has been completed, thanks to the generous donations of R2P alumni and their families and friends. Visit the GoFundMe site here. This course updates my knowledge on rice production and opens my mind to think [about] rice production and research in more wider perspectives. After the course, now I am looking [at] rice research in more wide perspective, thus when planning for research I have to think on social, economic, environmental and policy factors. Practical sessions were very useful for me. Alternative Wet and Dry method of water application was something new... I think this is very useful technology that would help poor farmers in Africa to save little resources and produce more rice and hence more income from the land. Can't Banaue experience be applied in Uluguru mountain slopes in Tanzania and other mountainous areas in Tanzania and Africa? I have been asking this question when we were moving across Banaue terraces. The farmers we interviewed near PhilRice told us that while farming is physically easier due to mechanization, that they now can harvest two crops that they are not making more profit than 40 years ago. It has challenged me to think about the role of rice/agricultural commodities in development activities in general. My study background is Biochemistry and Molecular Biology. Now I am working at molecular level. I have no idea about rice field or farmers. By this training, I introduce in rice field and we get interview a farmer and know about their livelihood. It is very good. My background is in plant pathology that focusing on Fusarium spp study and I never did any rice study. Although my country produces rice for consumption, I [was] never involved in any activities on rice. Therefore, I'm really glad to join this course and expose to the real world of rice. 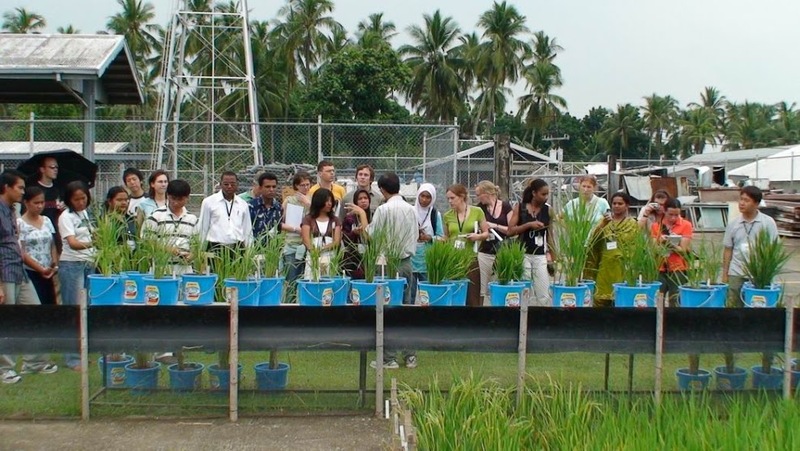 And also to get the opportunities to learn from the experts and gain more knowledge of rice research to production. This course gave me an understanding of where my research belongs in the process of improving the lives of rice farmers and consumers. Every scientist should get this sort of practical knowledge about the broader implications of their work. The course has been very intensive from the beginning and has provided insight about almost all aspects related to rice production. The group was very diverse and interesting and working in this group has provided a fresh view on rice research. I see a lot of potential for both productivity by breeding and for improving sustainable use of natural resources that can increase food security. The information received felt more like one year of courses than three weeks. Extension [was a major highlight of the course for me]. I have been unable to connect with extension in my current graduate school position. The requirements of fast, effective solutions has given me a new understanding of the products that basic science should produce for farmers. There should always be practical application in mind. Being able to hear stories from farmers in Banaue and Nueva Ecija and comparing and contrasting experiences and life stories [was a major highlight of the course for me]. Especially my 77-year-old farmer representative and his struggle to put kids through college, which is much different from Mexican immigrants that I have known in California. As I am going to work on C4 rice project lead by IWI, my initials was to see IRRI, meet IRRI people, meet colleagues working in the project. But if I could change my reasons for coming, I would say, is to get my feet wet in the paddy field, to live with everyone involved in the course for this 3 weeks. I loved the interaction with the co-op farmers. Hearing the first-hand experience of farmers who have been growing rice for decades was fascinating and really made me appreciate them for their hard work and dedication. After this course, I really realized how Filipinos and the rest of the world put great importance to rice. Valuing rice as part of their lives, tradition and culture. Working in the rice fields and going to Banaue is a wonderful experience to me! I then have a clearer picture of rice farming and how difficult it is, and what true farmers are their hopes, aspirations and their valuable contributions to the society and national pride. An excellent course on everything rice related. It has pushed me to examine the research and production rice in unexpected ways and, as a result, am more to understand how I best fit in the agricultural industry. Moreover, I have been able to engage with people from a variety of cultures, experience cropping systems that are truly a world wonder, and reevaluate my underlying assumptions regarding agriculture. This course was fantastic - the interactions with other participants, researchers and farmers have changed the way I think about agriculture in developing nations and given me priceless insights into a plethora of rice-related topics. I would recommend this course to anyone interested in broadening their horizons and learning more about this vital crop.